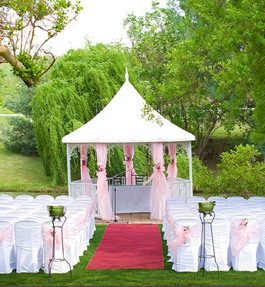 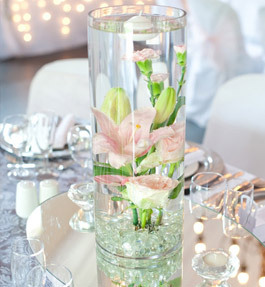 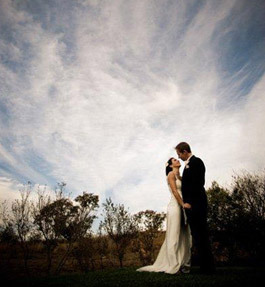 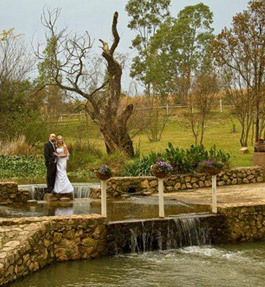 Wonderful Wedding Specials at THE BRIDGE in Muldersdrift. 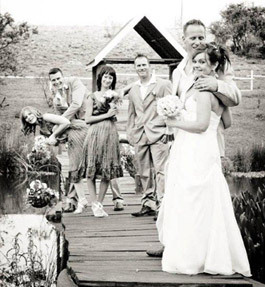 An old converted farmhouse set in tranquil gardens beside the banks of the Wilgespruit. 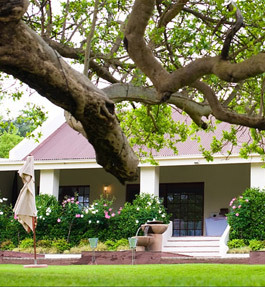 The river runs over the low level bridge that takes you to indigenous gardens where willow and large stinkwood trees, amongst others, surround fountains, well maintained lawns and beautiful flower beds. 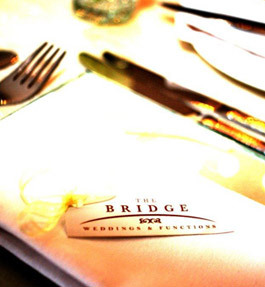 You only pay for food and drinks and we offer exclusivity at The Bridge for the duration of your function. 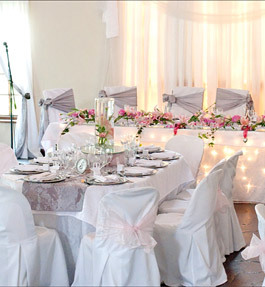 Our well-planned appetizing menus are prepared and presented by our very talented and highly trained chef, who has made The Bridge famous for its high quality food and professional service. 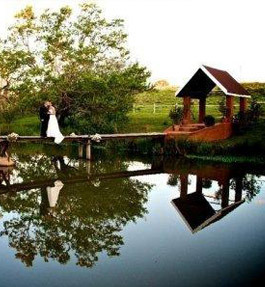 And if you like, a small boat to bring the bride to the wedding service.